Two key measures of consumer confidence soared to levels not seen since 2000, helping to propel equities higher towards the end of the first quarter. Since consumer expenditures make up nearly 70% of Gross Domestic Production (GDP), growing confidence among consumers is viewed optimistically by economists. A non-profit research group, The Conference Board, compiles and releases its Consumer Confidence Index each month, an indicator of consumer sentiment. In its most recent release, the Conference Board saw the largest increase in its index since December 2000. 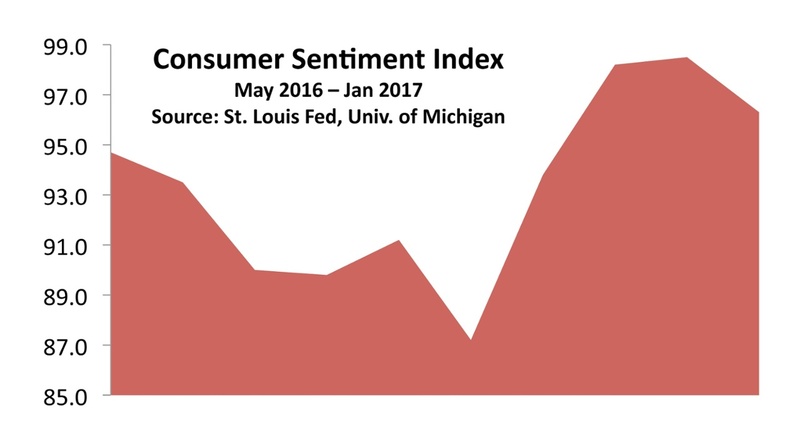 Another highly regarded index on consumer confidence is the Consumer Sentiment Index from the University of Michigan, which saw its largest increase in 17 years.